Destin Florida is well known for it’s emerald green gulf water. During high tide this beautiful water comes into the pass and makes it way into Choctawhatchee Bay. Destin Snorkel has many snorkel tours daily, however the best visibility will be a few hours before and after high tide. Give us a call and let us assist in selecting the best tour for visibility while you’re snorkeling. 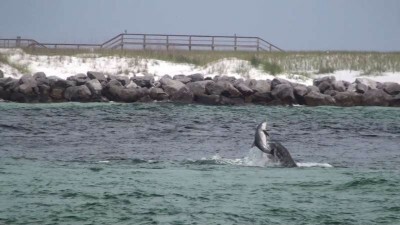 Destin Snorkel’s Two Stop snorkeling tour is 3 hours, we take you snorkeling and kayaking at the jetties, shelling and crabbing in the bay, and then we look for dolphin. The tour is family friendly and great for all ages and abilities. This baby dolphin was getting swim lessons from his parents during our Snuba tour in the pass yesterday. 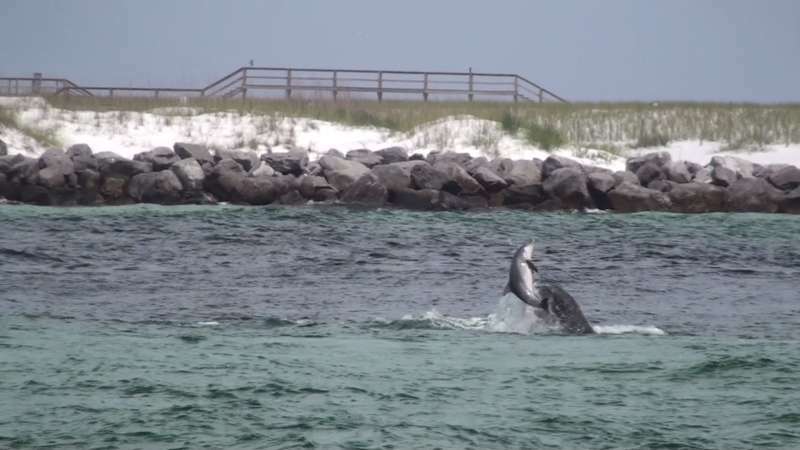 Our guests had a wonderful time watching the dolphin family playing in the water. Gregg Velez, our professional videographer, was on the Snuba Runner getting awesome footage. We see dolphin all the time on our tours with Destin Snorkel, however seeing such playful activity with baby dolphin is a rare treat. 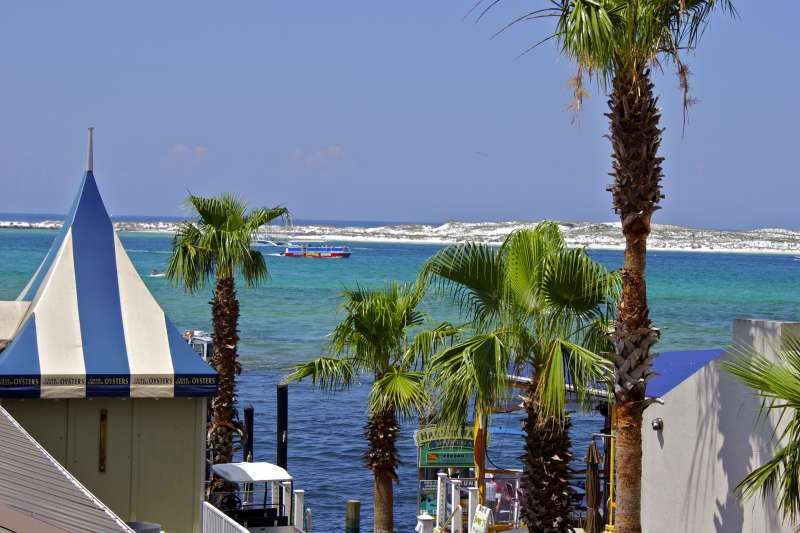 If you have always wanted to dive we highly recommend Snuba on your next Destin vacation. You don’t need to be certified and we’ll take you underwater up to 20 feet deep! Our instructor will accompany you and up to 6 people, you’ll be underwater breathing for approximate 20 – 30 minutes. You’ll see a lot of marine life on a dive; typically sightings are wrasses, blennies, flounder, sea anemone and sea urchins. 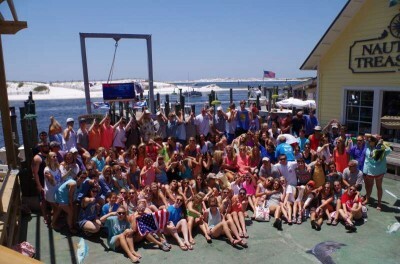 Destin Snorkel has been Snuba diving in Destin for about 5 years, it’s a memory our guests won’t forget! 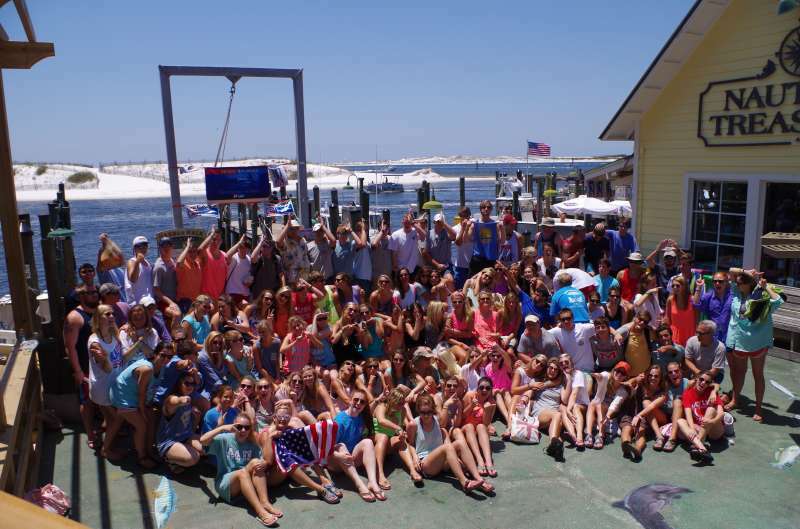 Contact Destin Snorkel for a reservation (850)269-2329. We’ve been finding fairly large blue crabs during Destin Snorkel’s shelling and dolphin tours. The captain has a touch tank on the boat which allows guests to learn about various marine life. 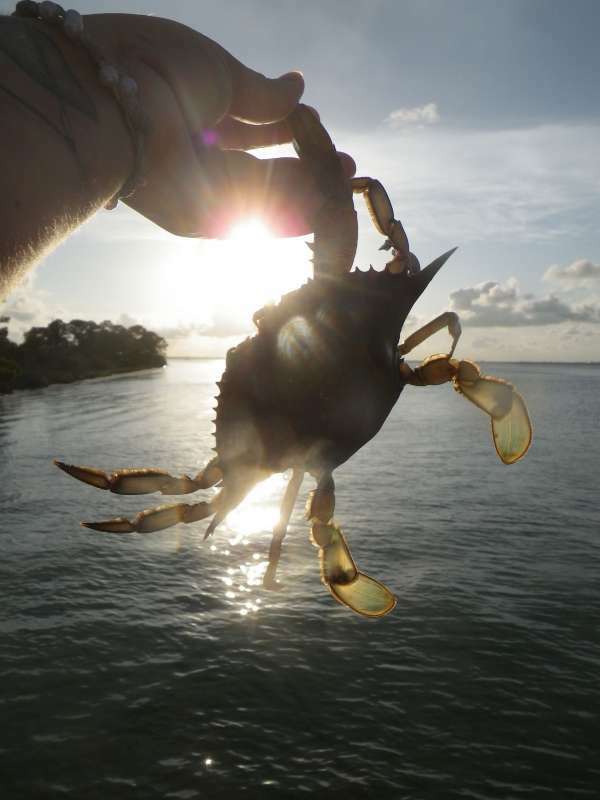 When blue crab’s lose a limb, another grows back. The blue crab we found yesterday had a claw starting to grow back, the kids loved to see it. 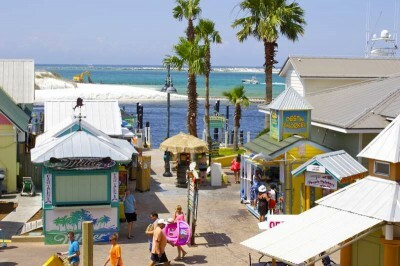 Destin Snorkel has a variety of tours to choose from and we leave multiple time a day.